It’s been a transfer window full of surprises, and Everton could be set to carry on this trend. According to the football transfer rumours in Spanish media, Everton are linked with surprise move for Espanyol midfielder David Lopez. The Spain international joined Espanyol from Napoli for a fee in the region of 4 million euros in August 2016. His contract expires in the summer of 2020. 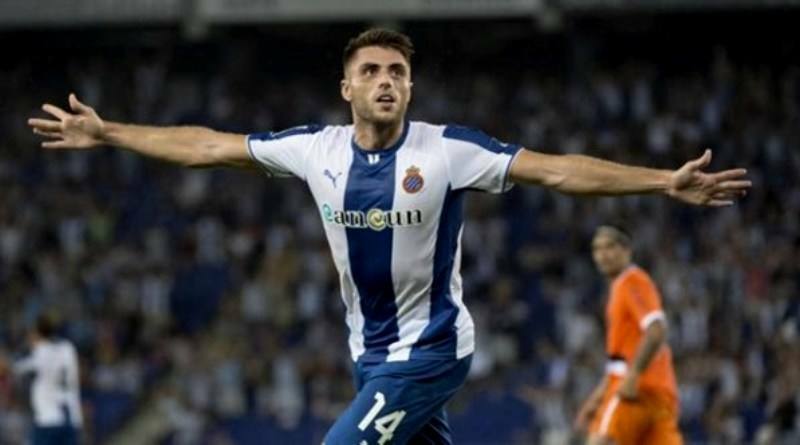 The 28-year-old made 104 appearances across all competitions for Espanyol, scoring six goals and supplying four assists in return. David Lopez is high in demand this winter, with him having enjoyed a sublime season for Espanyol this term. Sam Allardyce wants to sign a new midfielder and David Lopez is one of the names at the top of his wishlist. The report claims that Everton manager has extensively scouted David Lopez and is considering a move for the midfielder. Everton are desperate to make an impact in winter transfer window. According to the Mundo Deportivo, Everton are interested in Espanyol midfielder David Lopez. The 28 year-old has emerged as a late winter market target for Everton chiefs Steve Walsh and Sam Allardyce. Everton have pushed Espanyol to open talks about a deal by Wednesday’s transfer deadline. If Espanyol prove difficult, Everton will return to the negotiating table at the end of the season. Espanyol are not in a position where they need to sell and would like to keep hold of the midfielder, but right offer may force the club to consider a deal. The 28-year-old is certainly a player that would strengthen the current Everton squad and would be a good buy in January.